It’s easy to start an online store or specialty boutique these days, but there’s much more to online selling than a snazzy website. I learned this the hard way more than 17 years ago when I jumped into ecommerce head-first, without an inkling of how to start an online store. To help you get started the right way, I’ve put together a list of things you need to sort out as you start an online store. I’ll also cover what you need to consider each step of the way, connect you to additional information, and recommend the best tools and options available. You can build an online store quickly and easily with Weebly. It lets you create a unique ecommerce store with pre-made themes you can customize using a drag-and-drop editor. 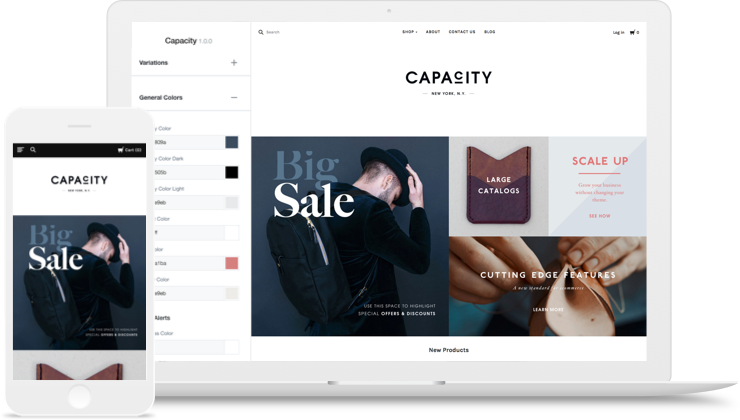 And because Weebly is owned by Square, it features a fully-integrated shopping cart, automatic tax calculator, and intuitive inventory management and shipping tools. Click below for a free trial. Step 1. Choosing Your Online Store Platform: What’s Best for Your Selling Needs? Website platforms let you quickly set up a site and even accept online payments for your business. Most also offer simple shopping cart add-ons if you sell a few items, so they’re a great low-cost way to open an online store. But if your main goal is selling a wide range or high volume of products, they don’t have all of the features you’ll likely need. If selling products is your main focus, dedicated ecommerce platforms provide more robust online selling and order management features than site builder cart add-ons. BigCommerce is a website builder and ecommerce platform that offers businesses the features and functionalities needed to set up an online store. It’s beginner-friendly and features an easy to use dashboard, store setup utilities, and clean, mobile-friendly store themes. Click here for a free 15-day trial. If you want to sell products and deliver fresh content any way you wish, a blog-based ecommerce platform is the one for you. This is an especially popular way to start an online boutique. WordPress is far and away the most popular platform choice for both blogs and blog-based online stores like the one pictured below. You can use a shopping cart plugin like Ecwid or WooCommerce to add ecommerce functions to any existing or new WordPress blog. WordPress stores like the one below combine content and selling features beautifully. See more looks you can create with WordPress ecommerce stores in our article here. Am I primarily selling, or hope to sell, a variety of products in some volume? Am I primarily selling a service and a few related items? Am I building a content-driven brand around my products or wanting to create a boutique feel? Do I also plan to sell on Amazon, Ebay, Etsy, Facebook, and/or in my own store or at fairs and markets? See our review of all three here. See our review of both here. See how to quickly setup your WordPress site here. Blog platform: WordPress with Ecwid shopping cart plugin. Square or Shopify POS for online & in person payment processing. Step 2. How Will You Stock Products & Fill Orders — Yourself, Drop Ship, Fulfillment, or a Mix? Once you’ve considered what type of online store is best for your products and business, it’s time to look at your fulfillment options. Fulfillment is the term that covers the process of stocking items and filling and shipping customer orders. Your fulfillment processes must be efficient and accurate if your online store is to survive, so it’s best to understand everything involved up front. In-house fulfillment gives you full control of your shipped orders and can be less costly than outsourcing fulfillment. You can stock product, pack, and ship orders from just about anywhere: your home’s garage or a spare room, or a storage unit, warehouse, or retail store. In drop shipping, your product supplier ships ordered items directly to your customer. You don’t have to store, pack, and ship those items yourself, plus you don’t pay for the goods until they’re actually ordered. Some online stores sell exclusively using drop ship vendors and never stock inventory themselves. But not all vendors will drop ship for you, so your product offering can be limited. Plus, you still have to manage order flow to your different vendors and handle customer service issues like returns. Many online stores ship most of their orders using in-house fulfillment, then drop ship certain items, large orders, or special orders direct from their vendors. This hybrid-style order fulfillment setup lets you stock less yourself but still make the big sales. Fulfillment companies, also called third-party logistics (3PL), store your product inventory and do the pick, pack, and ship tasks for you, plus they handle returns and other customer service issues. This leaves you free to market and build your business full-time. The service does come at a cost, but most offer one big cost-saving benefit: lower shipping rates. Since fulfillment services ship a huge number of packages with all carriers, they receive discounted rates and usually pass them on to their clients. In a small business, packing and shipping orders, managing stock arrivals, and organizing and tracking inventory are ongoing tasks. Believe me, this is where you’ll spend the majority of your time if you do fulfillment in-house. Even with staff, it requires daily management. For some, outsourcing fulfillment is a logical choice. For others, a hybrid operation with in-house fulfillment and select dropship items makes sense. Do I already sell products from my store or warehouse? Do I manufacture and store my own products and ship them to resellers? Am I selling a wide variety of items or just a few products? Will my product suppliers drop ship orders to my customers? Do I want to focus my time on building a website brand, not packing and shipping? 1. Yes - I sell from my store or warehouse In-House or Hybrid Fulfillment Learn about setting up in-house fulfillment and managing any drop ship orders here. 2. Yes - I manufacture and ship to resellers In-House or Outsourced Fulfillment (3PL) Use in-house for all orders, or use a 3PL to handle the daily small consumer orders while you handle large wholesale orders. Learn more about 3PL fulfillment here. With many items, 3PL storage fees can get expensive. Save by starting with in-house fulfillment. Learn how to set it up here. 4. Yes, my vendors will drop ship orders to customers Drop Shipping only or Hybrid Fulfillment Learn how to set up a drop ship business here. Or use hybrid fulfillment -- learn how to set it up here. 5. Yes, I want to build my online store’s brand, not pack orders Outsourced Fulfillment (3PL) Let a 3PL handle all of your stock and shipping tasks. Learn how they work here. Find the best 3PL service for your online store here. Step 3. How Will You Manage Orders & Shipping? So, you’ve considered where you’ll store your products and how you’ll fulfill orders as they roll in. Now it’s time to look at how you can manage shipping tasks and track the status of your orders. Your needs will differ depending on the type of fulfillment you decide to use. If your order fulfillment and shipping is all outsourced or left to drop ship vendors, this is largely out of your hands and you can move on to step #4. Most ecommerce platforms have good built-in order management tools. From your online store’s management dashboard, you can review and change orders and print packing slips. Some, like Shopify, even let you print shipping labels. There are plenty of free shipping label printing options. USPS.com, UPS.com, Fedex.com, and their free installed software are great for certain shipping needs. The problem with these is that you can’t easily compare rates among all carriers to find the lowest price for each shipment. Cloud-based software like Ordoro and Shipping Easy integrates with most online store platforms and offers many efficiencies. They’re really worth considering even as a startup. A major advantage is that they let you easily compare all carrier rates so you can save on shipping from the start. Most offer free or low-cost entry-level plans to streamline shipping tasks for both website and multichannel sales. You can add more order management tools, drop ship order support, and even inventory tools as you grow. If you ship just one or a few things in pre-set box sizes and weights, built-in website tools and basic shipping options are probably all you need. But if you’ll be shipping different box sizes, managing drop ship items, or selling through different channels, advanced order management and shipping software is your best bet. My advice: plan for tomorrow when you choose an order and shipping management solution. All of the advanced management software options have inexpensive or free entry-level plans to start, then will grow with you as needed. Plus, you’ll save on shipping by comparing shipping rates on every label from the get-go. Am I shipping just one or a few items with pre-set box sizes and weights? Am I shipping everything through just one carrier: UPS, FedEx, or USPS? Am I selling a wide variety of items that ship in different box sizes and weights? Do I need to compare different carriers’ shipping rates for every order? Will I drop ship certain items and orders direct from my vendors to my customers? 1. Yes - All orders ship in pre-set box sizes Try USPS for light items and use advanced shipping software to get better USPS rates. Use UPS or FedEx if you ship heavier items. Ordoro or Shipping Easy with USPS, UPS, and FedEx integration. Learn more about advanced shipping software here. 2. Yes - I use just one carrier Try USPS for light items and use advanced shipping software to get better USPS rates. Use UPS or FedEx for shipping heavier orders. Ordoro or Shipping Easy with USPS integration to get lower rates. Learn more here. 3. Yes - I ship in a variety of box sizes and weights Try USPS for light items and use advanced shipping software to get better USPS rates. Use UPS or FedEx for shipping heavier orders. Ordoro or Shipping Easy with USPS, UPS, and FedEx integration. Learn more about advanced shipping software here. 4. Yes - I need to compare shipping rates for every order Use advanced shipping software with all carrier integrations to compare shipping rates on every order. Ordoro or Shipping Easy with USPS, UPS, and FedEx integration. Learn more about advanced shipping software here. 5. Yes - I will drop ship some orders from my vendors Advanced shipping software with drop ship management tools Ordoro to manage shipping and automatically send purchase orders to your drop ship vendors. Learn more here. Step 4. What Will You Use to Ship Your Orders? True story. I launched my first website using outsourced fulfillment. About nine months later, I decided to expand, change a few things, and bring my fulfillment in-house. After a two-day shutdown to move the stock, we were organized and ready to ship an impressive backlog of orders. But I forgot one important detail — shipping boxes! After a quick and very overpriced trip to my local box store, we managed to catch up within a day. But let this be a lesson. Things can, and will, slip through the cracks when you start or change your ecommerce operation. To save you from a similar fate at startup, stock up and save on shipping supplies with the top-rated sellers here. Now, let’s discuss boxes and other ways to ship your online store’s orders. Standard boxes, mailers, and envelopes come in all shapes and sizes. 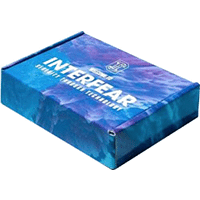 Plus you can have custom boxes and other types of packaging made to reflect your brand. In fact, many companies like subscription crate sellers use custom packaging as a key branding tool. But you can create customized packaging many other ways, too. Standard or custom, here are the four overall types of packaging you can use to ship your online store’s orders. When looking at ways to package your orders for shipment, keep this in mind: size and weight matters! Every carrier including UPS, FedEx, and the US Postal Service use both box size and weight to determine the rate you pay. So always use the smallest, lightest boxes and packing materials possible to protect your items during shipment. Will my orders all ship in the same sized box? Will my orders ship in a variety of box sizes? Am I selling a subscription-type product and need custom packaging to define the brand? Can I roll or fold items to ship in smaller packages for less? Do I need to bag or box my items for shipment in larger boxes? 1. Yes - I need many of the same size box or mailer Buy stock boxes or mailers in bulk to save money or print your own branded box. If using USPS, try free Priority Mail boxes. 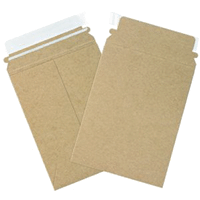 Uline or Amazon for bulk boxes and mailers, or learn about printing custom boxes here. 2. 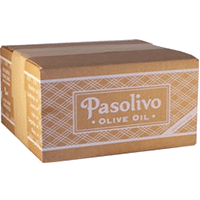 Yes - I’ll ship in a variety of box sizes or mailers Buy stock boxes or mailers in bulk to save money, and print logo labels to brand different sized boxes. 3. Yes - I need a branded custom box Print custom boxes or mailers in any quantity, on any budget. Packlane, Salazar Packaging, Tag & Label. Learn more about printing custom boxes here. 4. Yes - I can roll or fold items Try mailing tubes or lightweight flat envelopes. 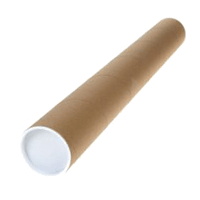 Uline or Amazon for bulk mailing tubes and envelopes. 5. Yes - I need to bag or box items inside shipping boxes Buy inexpensive stock bags and boxes, then embellish with branded tags or logos. Learn how to brand internal packaging in your shipments here. Step 5. 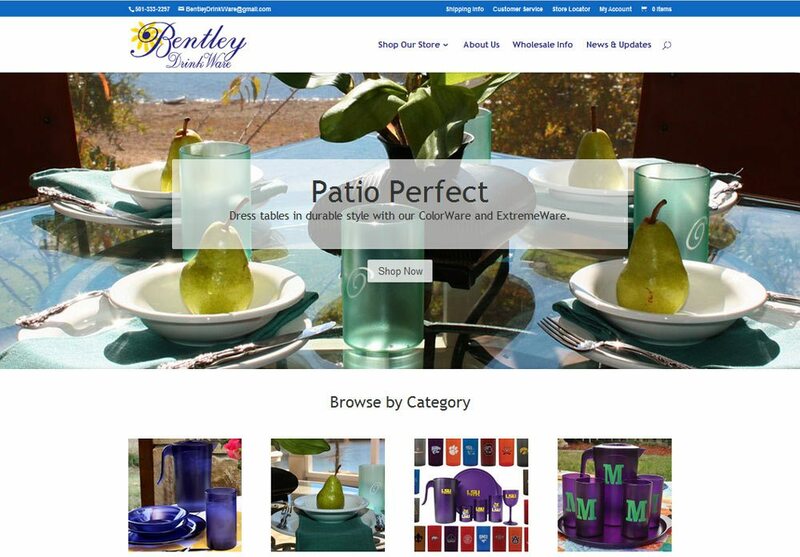 How Will You Manage Inventory on Your Website and in the Warehouse? Unexpected backorders and stock shortages are major headaches in an ecommerce operation. While stock issues aren’t completely preventable, having a good inventory system at launch will help you sidestep inventory mistakes made by many startups. Whether you fill orders yourself or use a fulfillment service, there’s one thing you must do: update your website with correct inventory numbers. This prevents oversells and backorders, and keeps your operation running smoothly and your customers happy. Most ecommerce platforms have good inventory management tools. Usually, this is all you need if you operate just one store or sell a small number of items. These cloud-based software services integrate with most online store platforms and offer impressive inventory tools in addition to order and shipping management. If you sell many products or sell on different channels like Amazon, Ebay, or Etsy, these tools can help you run your whole operation efficiently. These programs and systems can tie to most online store platforms to update inventory counts. If you sell just a few items on one online store, your store platform’s built-in inventory management tool is probably all you need. Many platforms even connect to Quickbooks, too. But if you sell a variety of products through multiple websites, online sales channels, or in-store, you’ll need advanced inventory software or a retail store POS system. If you elect to outsource order fulfillment, your provider will assist in tying their inventory counts to your website and other systems as needed. Am I selling just a few products on one website only? Am I selling a large number of items, say over 100, on my site? Am I selling the same products online and in my physical store? Do I kit or assemble products when ordered, like gift baskets or subscription crates? Am I selling some or all of my products on multiple channels, like Amazon and Ebay? 1. Yes - I just sell a few items on one website Online store platform inventory tools Learn about inventory tools on dedicated ecommerce platforms here, and top WordPress cart plugins here. 2. Yes - I sell, or plan to sell, a large number of items Advanced management software. Tie your Quickbooks or POS inventory to your store Ordoro or Shipping Easy; learn about advanced management software here. Or learn about Quickbooks product inventory here and Square POS here. 4. Yes - I kit or assemble products when they are ordered Advanced management software to track all parts of your inventory through finished goods Ordoro with inventory management. Learn more about managing inventory kitting here. 5. Yes - I’m selling through several channels like Amazon, Google Shopping, and Ebay A dedicated platform that supports multichannel feeds or advanced management software Platforms like BigCommerce and Ecwid for WordPress support inventory for multichannel selling, or use advanced management tools Ordoro or Shipping Easy; learn more here. Step 6. How Will You Accept Payments in Your Online Store? This step is very easy to navigate these days, thanks to fabulous advances in shopping cart and payment provider security, referred to as PCI compliance. I’m not going into the details of PCI compliance here since there’s really no reason for a small seller to choose an unsecured payment option. If you want to learn more about the importance of PCI compliance for your business, we have a great article that covers it in detail here. PayPal and Stripe are simple, easy to use secure online payment solutions that let you accept credit card payments online using just about any online store platform. Not all online stores offer secure checkouts, but the ones we recommend do. There’s really no reason a new online store needs to start up with a non-secured shopping cart. Secure shopping cart checkouts remove much of the responsibility for protecting customer data from your shoulders. If you want to use your own existing merchant account, you usually can if it works with a secure payment gateway. Your payment provider and ecommerce platform both list the gateways they work with, so you should be able to find a match. For POS systems like Square, Vend, or Clover, most top ecommerce platforms will integrate for payment processing. If you compare all-in-one payment providers Stripe and PayPal to other merchant services, you’ll likely find the all-in-ones’ rates are higher. The tipping point is about 50 orders per month. Under 50 orders, Stripe and PayPal are very cost-competitive. Over that, and other payment options can be cheaper. But remember! With all-in-one providers, you don’t have to manage security issues yourself. This can save you time and money in the long run since managing PCI compliance requires a lot of technical know-how. If you already have a merchant account or POS payment system that you want to use with your online store, contact your payment provider. There’s a good chance it works with the top online store platforms that we recommend. If not, here are five questions that will help you pin down the right payment solution for your online store and any other ways you accept credit cards. Do I have an existing merchant account and want to use it for online selling? Do I sell products in person in a store, or accept mobile payments for sales at fairs and markets? Do I need to invoice customers online, and let them pay invoices online, too? Do I sell under 50 orders per month? Do I sell over 50 orders per month? 1. Yes - I have a merchant account Secure Cart Checkout Learn more about how to accept online credit card payments here. 2. Yes -- I sell in person POS Integration For a WordPress store, we recommend Square POS with Ecwid. For a dedicated ecommerce platform: Shopify with Shopify POS. 3. Yes -- I need to invoice customers and let them pay online, too Square or PayPal Payments Learn more about how to accept online credit card payments here. 4. Yes - I sell in smaller amounts, under 50 orders per month Secure Payment Providers Stripe or PayPal Payments At lower quantities, these are less expensive than other providers. Learn more about how to accept online credit card payments here. Secure Payment Providers Stripe or PayPal Payments Learn more about how to accept online credit card payments here. Step 7. 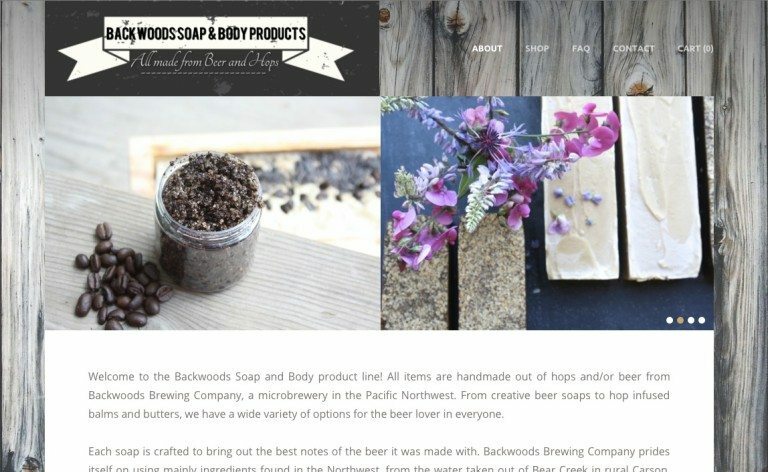 How Will You List Products & Information in Your Online Store? This gets into customer touchpoints. Until now, we’ve looked at how to run your online store operation. Now it’s time to put it all in writing in your store’s information and policy pages. This will let your customers know what to expect when they order from you. Note! This is the time to be honest and clear about your fulfillment promises. If you say orders placed by 10am CST ship the same day, make sure your operation can handle that. If you decide to offer expedited shipping, make sure you can get those orders out asap. If you’re unsure at first, say that orders ship within 24 hours or even 48 hours. You can always change that after you’re up and running smoothly. Get ideas from websites you like, and don’t forget to see what your competition says on their site. Check out the section on setting up store information pages in our article here. Your product descriptions and imagery are the most important content on your website. They need to be great, and original if possible. If you make your own products, obviously your descriptions and imagery will be original and tied to your brand. Not sure how to do that? Again, look to your favorite websites, online boutiques, and your competition for inspiration. For product descriptions, if you resell products, don’t settle for the same vendor-provided blurbs that your competition is using. Write them yourself, and include all of the details: size, weight, material, and anything else that might prompt a customer question. Ditto your product photos. If you have great images from your vendor, use them, but take some of your own to highlight your brand, too. Learn how to take great product images using just your cell phone camera here. Learn how to write snappy, search-engine friendly product descriptions here. If writing or product photography isn’t your gig, hire a freelancer off Fiverr to make your product pages really shine. Step 8. How Will You Bring Customers In & Keep Them Coming Back? If you build your site on a top platform, write good content, and follow SEO basics, you might after a time start seeing your website on the first page of search results. But be warned! Search engines are fickle, and even top rankings don’t guarantee sales. It seems like a lot of options, and it is! Marketing your online store is a big task, and those who do it well dedicate time to it each day. If you’re creative and persistent, you can attract a following with blogging, social marketing, email, video, and offline engagement, and spend very little money doing it. Or if you have the budget, you can focus efforts on paid marketing like Facebook ads and Google AdWords. These let you quickly drive targeted traffic to your site or to certain products. And when you make a sale, be sure to use other tactics, like promotional inserts in shipments, to keep customers coming back. I admit it, consistent marketing was my biggest challenge over the years, and I’m not alone. Online store owners have busy days, and it’s easy to put off the weekly email, blog post, or Facebook promo until tomorrow. Far too often, tomorrow becomes next week, and so on! Does my brand work with how-tos, advice, recipes, or DIY projects? Can I shoot and edit video? Do I use social media platforms? Do I have money to spend on paid advertising? Do I have the budget and profit margins to support discount offers and/or free shipping? 1. Yes -- I like to write A blog-based online store gives you the most content flexibility. Use email marketing as a primary tool for content and product promotion. Learn how to sell products on a WordPress store here. Learn how to get started in email marketing here. 2. Yes -- My brand works with how-to, advice, and DIYs A blog-based online store gives you the most content flexibility. Use email marketing as a primary tool for content and product promotion. Learn how to sell product on a WordPress store here. 3. Yes -- I can shoot and edit video Any website builder or ecommerce platform, but best with a blog-based online store. Website builders and ecommerce and blog platforms let you upload or link to videos on YouTube or Facebook. See how to create video that sells here. 4. Yes -- I use social media platforms Extend your selling reach with a Facebook store and Pinterest Buyable Pins. Dedicated ecommerce platforms Shopify and BigCommere, and WordPress with Ecwid integrate with Facebook and Pinterest selling tools. Learn more about Facebook marketing here. 5. Yes -- I have money to spend on paid advertising Start with test campaigns on AdWords and Facebook. Learn about getting started with Google AdWords here and Facebook ads here. 6. Yes -- I want to try discounts and free shipping offers All top online store platforms support coupon codes and free shipping offers. Learn how to plan and structure coupon campaigns here and free shipping here. Now you know how to start an online store and it’s easier than ever since ecommerce platforms walk you through store setup every step of the way. But they don’t give you step-by-step instructions to actually run your business. So even though you can launch an online store within a day and at very little cost, being ready to manage orders and pack and ship boxes is another issue entirely. If not done correctly, it can sink your operation before it even gets off the ground. And remember, find the best answer for your unique business. If you’re not sure where to start, try my recommendations that worked for stores I’ve set up and run. Then test and try different things as you go along to find the operational mix that works best for you. Great article! And I couldn’t agree more with the last paragraph, especially this sentence: ‘Your product descriptions and imagery are the most important content on your website’. I believe that there’s no need to use spreadsheets to create a consistent product message. It’s much better to establish a single source of truth and centrally manage all product-related descriptions, images and other media assets. This process becomes much easier with a Product Information Management (PIM). Correct — especially in today’s multichannel retail environment. Thanks for sharing. I thought, creating an online store is very hard, but this article helps me to understand the concept easier, I am going to start a store soon, keep doing this quality work and keep sharing. Do any of the payment providers collect sales tax and submit it to the different states, or is this something you have to do as the store owner? If you have to do this as the store owner how do you manage it? Taxes are something you have to handle. Payment processors don’t do this for you. However, most online shopping carts integrate with an excellent multistate sales tax management tool, Alavara. Definitely check them out if you need to track multistate sales taxes. Hope this helps, good luck! Your article was a blessing. Am glad you wrote it. Thanks. Great detailed post. Thank you for taking the time to share. Thanks for reading and commenting, I’m glad you found the information helpful to new e-store startups.